Can Collection Agencies Call My Cell Phone When They Attempt To Collect On a Debt? They’re not supposed to. But of course they frequently do. Federal law prohibits this type of collection activity. This is usually a big surprise to people when they hear it, but it is an absolute violation of your consumer rights for a collection agency to call your cell phone when they attempt to collect on a debt. The specific laws that regulate collection agencies are the Telephone Consumer Protection Act (TCPA) and the Fair Debt Collection Practices Act (FDCPA). These consumer-based laws dictate what the collection agencies can and can’t do. If there is a violation of these laws, the court will hold that your rights have been violated, and the collection agency will be required to pay damages (i.e. an amount of money to be paid in compensation for having violated your rights). So for instance, 15 U.S.C. §1692f(5) makes it a violation for collectors to call your cell phone. And most of the time, they are calling not once, but several times a day. Showing proof of the violation is as simple as providing cell phone billing records (because every time you answer your cell phone, it will register on your monthly statement). The reason why federal law prohibits this kind of collection activity is because every time you answer your cell phone, you are incurring a cost (i.e. you are being charged for the minutes used in your plan). It is therefore unlawful for a collection agency to cause you to incur a cost in their attempts to collect. There are other kinds of violations as well. For instance, the collection agencies are not supposed to call excessively throughout the day and night. So if they are calling more than two or three times in a day, it is possible that another violation has occurred. If the collector is verbally abusive or threatens you in any way, this is also a clear violation of the Act. And if they are calling friends, family, or your place of work, it is almost certain that their actions have in some way harmed your federal rights. 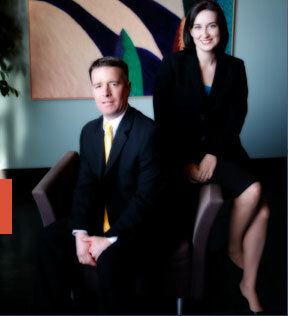 The St. Louis bankruptcy lawyers at Brinkman & Alter, LLC have been protecting people from the abuses of collection agencies and fighting for their rights for years. Our staff is prepared to help guide you through the process, give you the best advice possible regarding creditor violations or of filing a St. Louis Chapter 7 bankruptcy or a St. Louis Chapter 13 bankruptcy, and take legal action if necessary to ensure that your rights are protected. All phone calls and office consultations are free of charge.